With the Vancouver Olympic Games a week away, its time to bring out the pride we feel in our city, our country, and our athletes. In this spirit, we are waving our flags on our building (the center flag is an Olympic flag) and encouraging everyone to be a part of an event that will not likely occur again in our lifetime. We hope many people will go to Vancouver, go to the mountains, go to Surrey or Richmond, take the kids and feel proud of what so many of us in the most beautiful city and province in the world have accomplished. Welcome to the athletes and visitors, we hope you enjoy your time here and stay safe. Go Canada, Go Canadian Athletes, Go Vancouver! 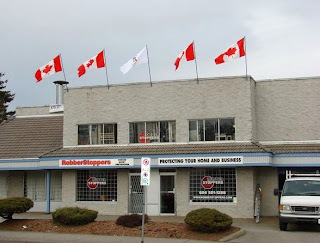 We at RobberStoppers wish you all the best!